Hello Omaha! Today marks a significant milestone for ADI as we celebrate our 100th branch location. Our newest branch located in La Vista, Nebraska is now officially open and ready for business. What’s even more exciting is that this branch will be the first of our new ADI Express store layout. About every two years, we conduct a market analysis of our branch locations, customer locations, market conditions, and market size to determine new opportunities for growth. Through this research, we’ve identified a number of smaller markets that are being underserved and developed the ADI Express concept to extend our reach and serve dealers in these markets. 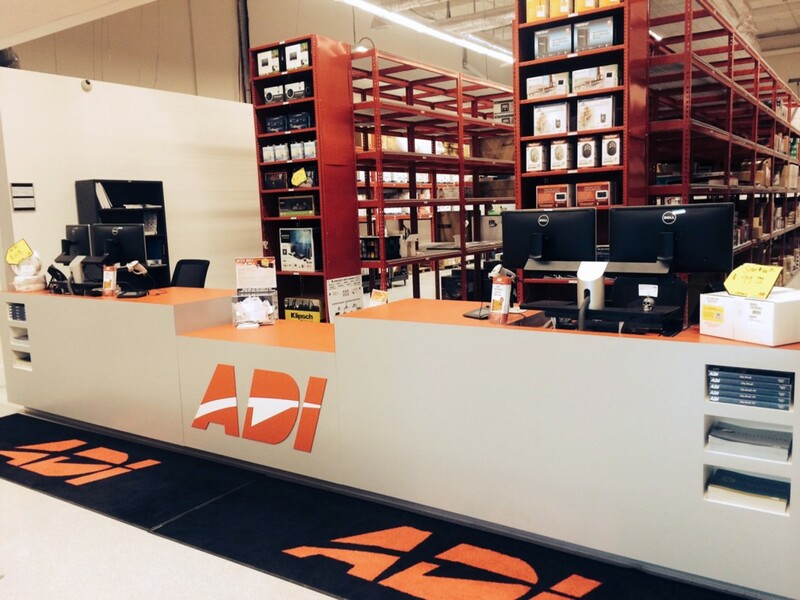 The ADI Express store model is approximately 3,500 square feet, almost half the size of a typical ADI branch, and features a sales counter, dedicated training space and fully stocked warehouse. We spent a lot of time designing a smaller store layout that would provide dealers with the same features and services available at our full sized branches. The floor plan offers product aisles and interactive end cap displays and dealers have access to the same product availability and inventory as ADI’s other 99 branches. The new branch will also bring together our manufacturing partners to offer numerous training opportunities for local dealers. Shifting to a smaller storefront in new geographic markets allows us to expand our footprint and reach more dealers in a financially responsible way. We are celebrating the new branch location with grand opening events beginning this week featuring leading manufacturers, daily product specials, training events, and exciting prize giveaways. With this new branch, ADI operates 100 sales branches that represent more than one million square feet of retail space across North America. In addition, we have a total of nine warehouse hubs housing an abundance of inventory to make sure our branches are always fully stocked, and dealers can easily access the products they need. The opening of this branch demonstrates our continued success in the security and low voltage market, and our commitment to providing the best solutions and most convenient service to dealers. We have plans to open the next ADI Express later this year, and we look forward to opening several more over the next few years. Click here to locate an ADI branch near you.